What interests me most about this object is the intimacy one experiences between an otherwise abstract technological entity (a reel-to reel recording) and the human anatomy—in this case, the embodied voice of the poet and her written hand. As poets began to make their first recordings in the early to mid-20th century, a curious residual ritual emerged: instead of signing their books, they frequently added their imprimatur to the record labels or reel containers. 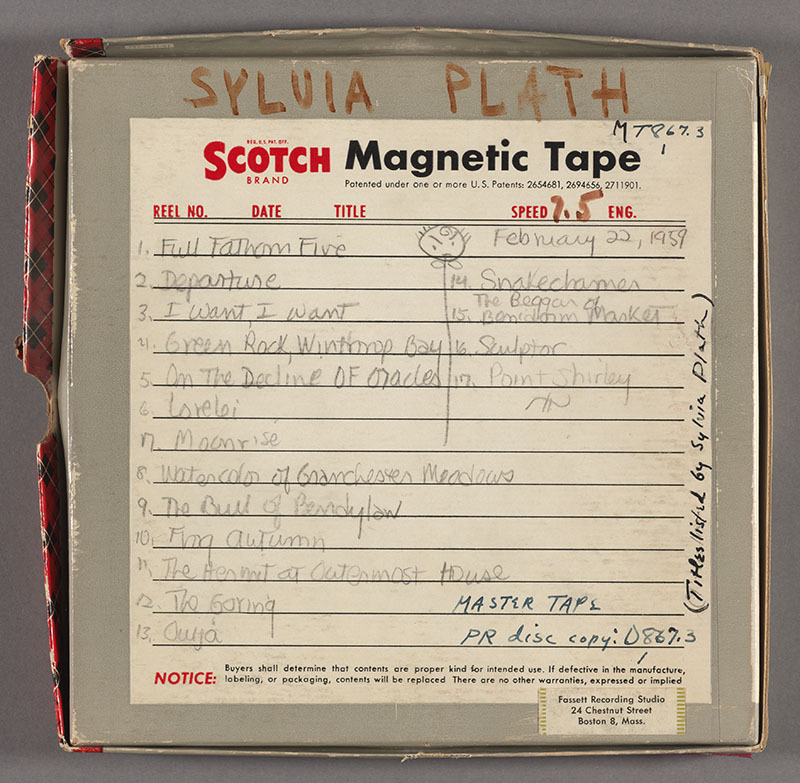 The Master tape housed in this container is one of two recordings that the Poetry Room commissioned prior to the publication of Plath’s first collection, The Colossus (1960). Encountered together, we experience the poignant juxtaposition of Plath’s unexpectedly playful hand with the great gravitas of the poems themselves, many of which were altered when they ultimately appeared in print.